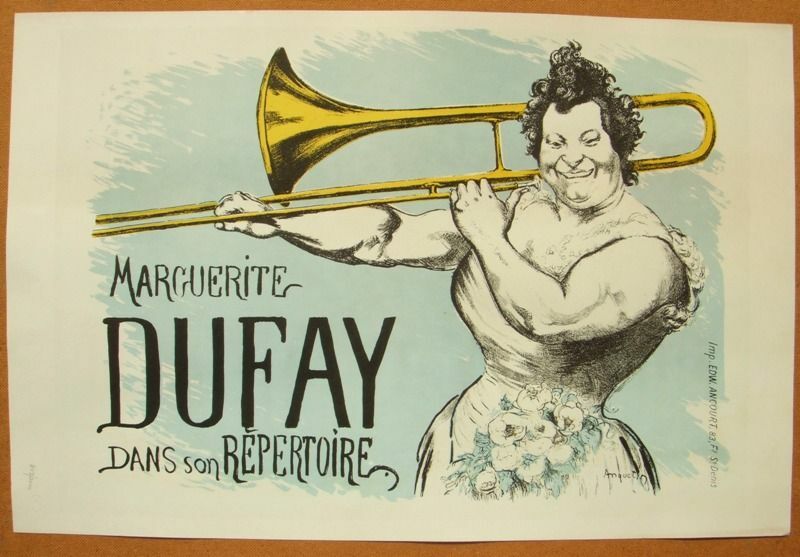 Limited edition lithograph after Edward Ancourt, No. 803 of 2000. 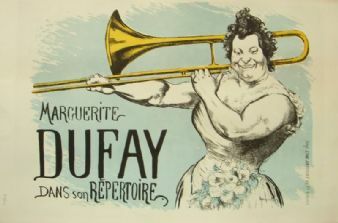 This French poster is an example of 'Affiche Artistique', advertising female trombonist and entertainer, Marguerite Dufay. 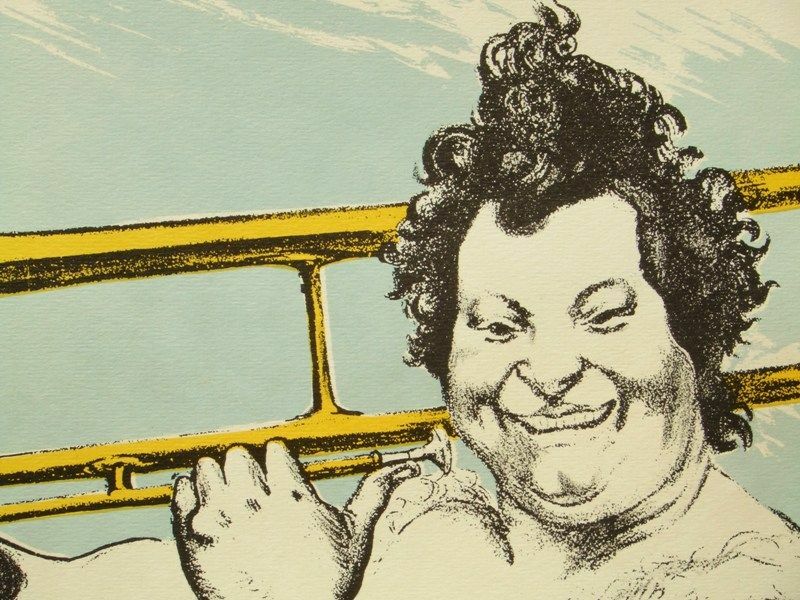 An original print which is bright and unfaded in coloured ink. The image measuring approximately 64 cms. x 46 cms. (25 x 18 ins.) printed on a wove paper sheet measuring 75 cms. x 50 cms. 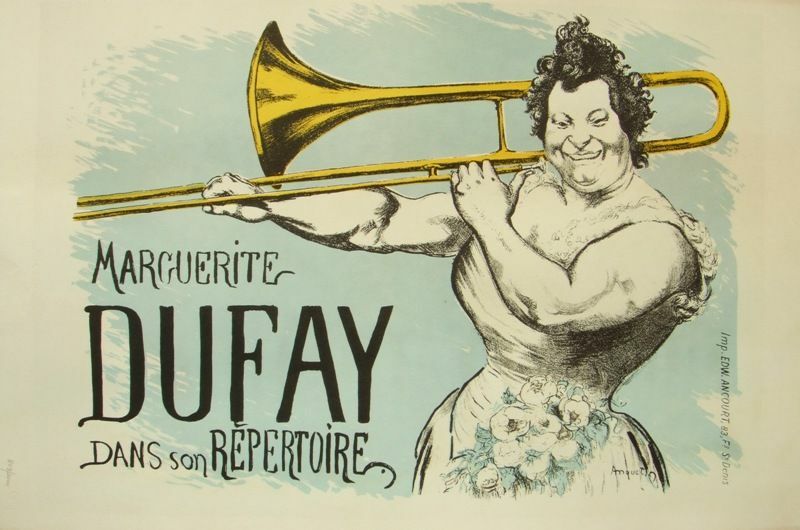 (29½ x 19½ ins.) This item will be shipped rolled. 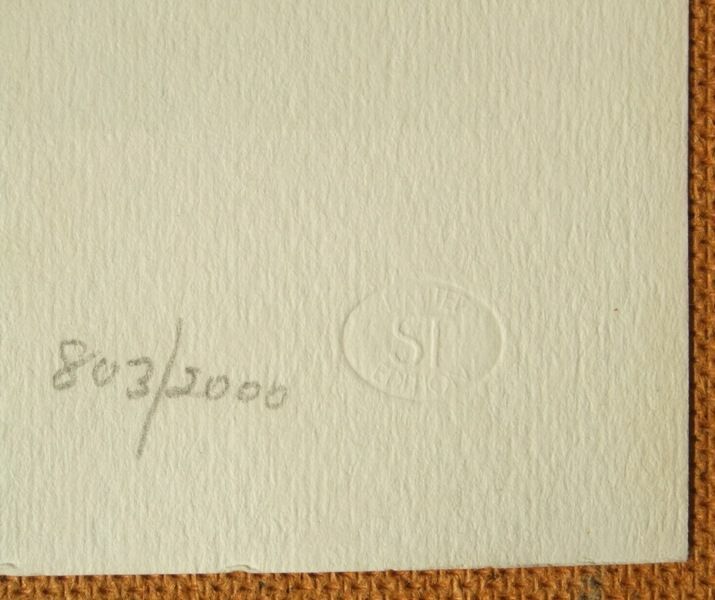 The sheet carries the edition 803/2000 in pencil in the lower image with an embossed blindstamp. 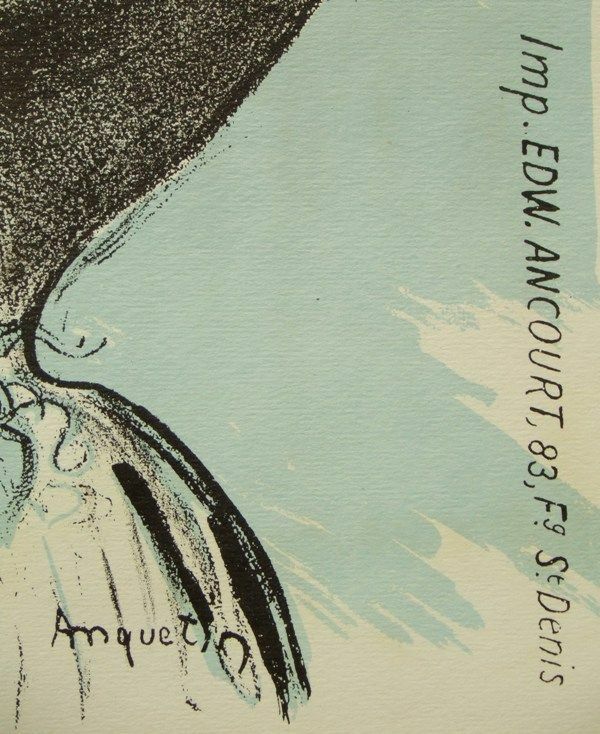 Unframed and unmounted, blank on the reverse, the condition of the image and sheet is good with handling marks condusive with age.